The Speed Aim 223 is the AimSHOT entry level 223 bore sight. 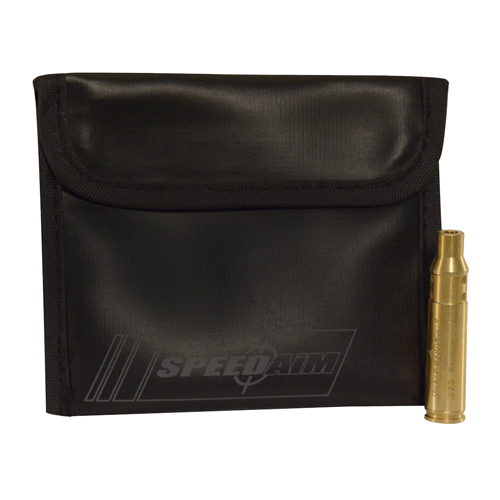 It comes with a small pouch 223 laser bore sight and three LR41 batteries. It is compatible with all of the AimSHOT arbors for additional calibers as well as the MBP223 modular battery pack.